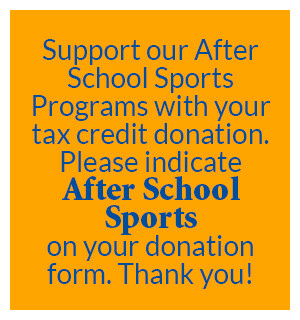 Did you know you can support extracurricular activities in Arizona schools and receive a tax credit at the same time? Since 1998, Arizona taxpayers have the opportunity to receive a tax credit when they donate to an Arizona public school for support of extracurricular activities. Last year, Yuma Elementary School District One received $84,851 in tax credit dollars enabling students to participate in a variety of extracurricular activities. We invite you to support the students at any of our District One schools through the Arizona Tax Credit program. You do not have to have children in the schools to participate. The donation is not a deduction—it is a dollar for dollar tax credit. If you are married and file jointly, you may contribute up to $400. Otherwise, the maximum donation is $200. To be eligible for the tax credit for the current tax year, you must make the donation by December 31. When you make an Arizona Tax Credit donation to District One, everyone wins. Our schools receive the money for extracurricular activities, and you receive a dollar-for-dollar tax credit (NOT a deduction). You can increase District One's Tax Credit contributions by telling your friends and family about the Arizona Tax Credit program. If you have questions or need more information, please contact our Accounts Payable department at (928) 502.4317. Download our Tax Credit Brochure for more information about this program.